Try not to get too carried away and stick to a few more commonly used pastas. This can help avoid ending up with about 12 half-empty packets laying around in the cupboards! One thing to bear in mind when choosing pasta is that spaghetti and tagliatelle are smooth and more ideal to use with smoother sauces. 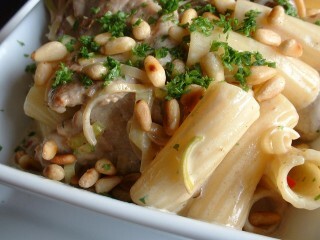 Pasta such as penne and conchiglic are ribbed or hollow and, when used with a thicker sauce, allow the sauce to stick to the pasta more easily. When cooking pasta, always try to follow the manufacturer’s instructions. If cooking pasta such as spaghetti, always use a large saucepan to give the pasta lots of room. Always add the salt when the water is boiling rapidly, as this will disperse the salt more evenly throughout the water. Do not over cook the pasta. We want it cooked to the ‘al dente’ stage, which is when it is cooked but still firm to bite. 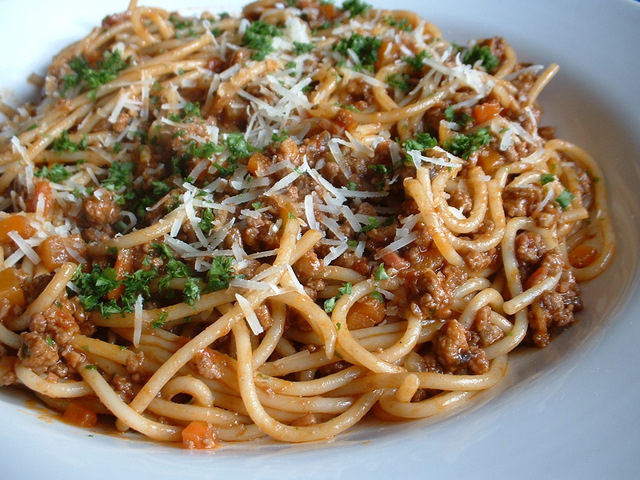 Spaghetti, for example, will normally take about 10 to 12 minutes to reach the ‘al dente’ stage. Try to use a cheaper olive oil when cooking or marinating pasta. More expensive extra virgin olive oils may have too much flavour and can overpower the final dish. Keep the expensive oils for your salads and dressings. Of course, not all pastas are cooked in boiling salted water – many people’s favourite pasta dish is lasagne, which, along with cannelloni etc., needs to be baked in an oven. Also, we can buy pastas that have already been stuffed with many different fillings, e.g. tortellini. 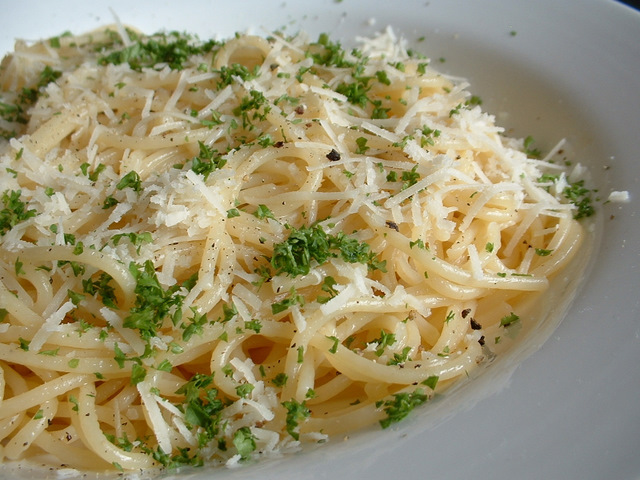 In most cases, it is nice to serve pasta in large deep warmed plates. Try not to pile it too high and it is nice just to finish dishes with a little garnish. Try some chopped parsley, small basil leaves, flakes of Parmesan or roasted pine nuts, as a few examples. This will give your dish that final lift, for don’t forget that we always eat with our eyes first. When cooking pasta, make sure you use a large saucepan, as the pasta will expand as it cooks as it absorbs water. Also, it will give the pasta space to move around freely and cook through evenly. First, bring the water to the boil and add the salt. 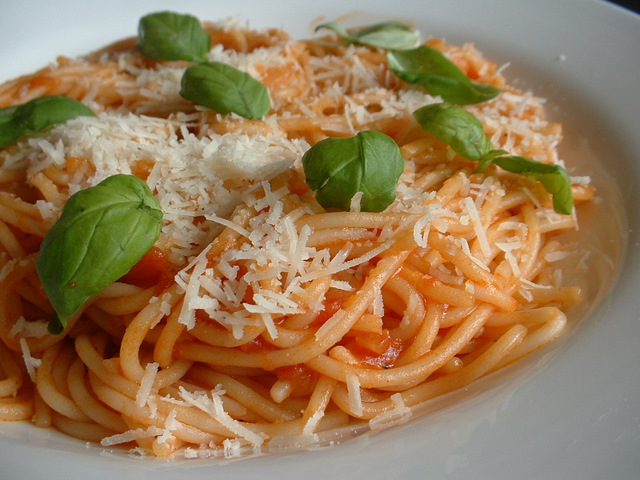 If you are cooking pasta such as spaghetti, take a handful at a time and hold the pasta in an upright fashion. Slowly lower the pasta into the boiling water. You will find that the pasta will begin to soften as it enters the water. Carefully coil the spaghetti into the water until it has been submerged. Continue cooking the pasta in boiling water until it reaches the ‘al dente’ stage, when the pasta is tender but still has a firmness to the bite. Spaghetti, for example, will take about 10 to 12 minutes. The thicker the pastas may take a little longer. It is always worth following the manufacturer’s cooking instructions. When the pasta is cooked, drain well and a colander and it is ready to serve. 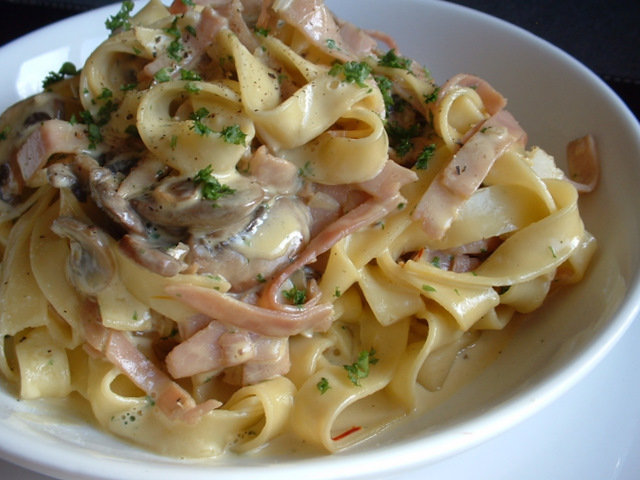 Cook books often suggest adding oil to the boiling water to help keep the pasta separated while cooking. However, this is a complete waste, as mostly oil and water do not mix and you will find the oil floating on top. Just make sure you have a large enough pan and you should have no problems with the pasta sticking together. We hope you have found these pasta cooking tips helpful!